Is it True Marijuana Can Trigger Schizophrenia & Psychosis? 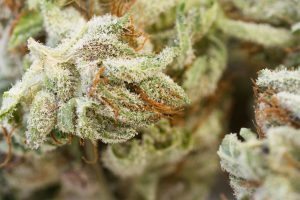 Is it True That Marijuana Can Trigger Schizophrenia and Psychosis? From “Reefer Madness” in the ‘30s to the Drug War in the ‘80s to the “gateway drug” rallying cries we hear against legalization today, Cannabis is the long-suffering victim of a decades-long smear campaign. In the haze of harmful myths about marijuana, it can be tough to discern fact from fiction – so is it really true that smoking Cannabis can induce psychosis and schizophrenia? Or is that just another invention of the propaganda machine? The truth is, scientists haven’t arrived at a clear consensus. Before we embark on a discussion about whether Cannabis induces onset of mental illness, it’s important to draw a clear distinction between schizophrenia and psychosis. While these terms are often used interchangeably, it is medically inaccurate to substitute one for the other. Psychosis, an umbrella term which broadly encompasses delusional thinking or loss of contact with reality, is not a disorder in and of itself. It is a symptom of a disorder, frequently schizophrenia or bipolar disorder. A person who is having a psychotic episode may experience visual and/or auditory hallucinations, and may believe they are being followed, watched, or persecuted. Psychosis should not be confused with psychopathy, an unrelated personality disorder characterized by antisocial behavior and the absence of empathy. Psychotic disorder NOS (“not otherwise specified”) may be diagnosed when a person experiences a psychotic episode, but doesn’t otherwise satisfy the medical criteria for schizophrenia or other psychotic disorders. An initial diagnosis of psychotic disorder NOS may later be changed to a more specific diagnosis as the patient’s symptoms become better understood by his or her physician. Can Smoking Marijuana Cause Me to Have a Psychotic Episode? This is a controversial question with a complex answer, but to summarize as succinctly as possible: research indicates there may be a correlation between psychosis and marijuana use. However, since correlation does not equal causation, it is difficult if not impossible to decisively state whether Cannabis use induces psychosis based on our current scientific knowledge. While researchers have yet to arrive at any hard conclusions, the tentative consensus is that if schizophrenia runs in your family, using Cannabis may increase the risk of onset. However, the average schizophrenia onset age (18 for males and 25 for females) happens to be right around the same age most people start experimenting with Cannabis, which unfortunately confounds any clear-cut determination of causality. Moreover, the risk of developing schizophrenia plummets once you get past the 25 to 30 age range, which suggests the cause is more closely tied to genetic makeup than use of Cannabis (or other substances, for that matter). Hypothesis 1 – Cannabis use causes psychotic episodes (but not schizophrenia) in otherwise healthy people who would not have experienced psychosis without using Cannabis. Contributing Cause Theory – Cannabis use, while not unimportant, is only one of many “contributing causes” to the development of schizophrenia or recurring psychotic episodes. As noted by a study in Frontiers in Psychiatry, variables like “family history, genetic factors, history of childhood abuse, and the age at onset of Cannabis use” all influence onset of mental disorders. Self-Medication Theory – People who have psychotic episodes tend to self-medicate with Cannabis. If true, this theory implies that correlation occurs not because Cannabis spurs psychotic episodes or schizophrenia, but on the contrary, because it helps patients alleviate or cope with the effects of psychosis or schizophrenia. At the end of the day, psychotic disorders (and episodes of psychosis) are extremely rare. According to Archives of General Psychiatry, only about 3% of people experience psychotic disorders, while about 0.9% of people experience schizophrenia. Schizophrenia and Related Disorders Alliance of America (SARDAA) reports about 3.5 million people with diagnoses in the U.S. today, which roughly corresponds with the 0.9% figure cited by Archives.